Thursday evening: the wine and cupcakes are flowing, and so is the conversation. Set in the Northwood Realty offices in the Adams Shoppes in Cranberry Township the Northwood Moms and a group of mom bloggers from all over western PA came together to share stories, advice and laughter over the communal bond of work and motherhood. 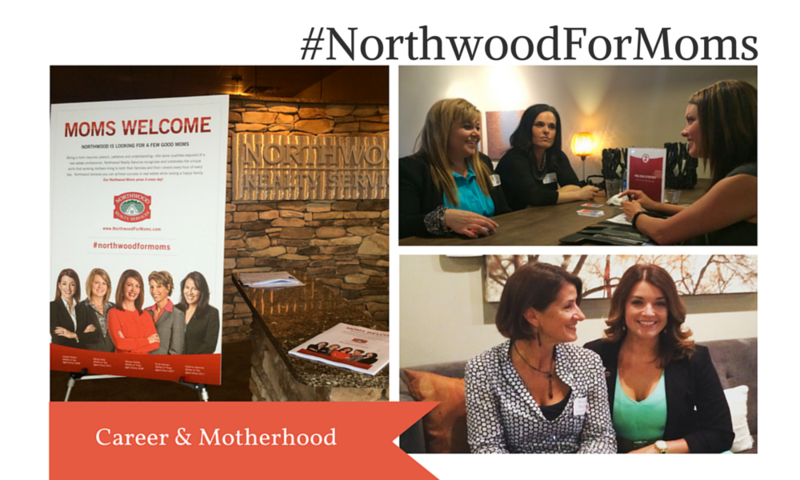 If you haven’t heard, The Northwood Moms are 5 rockstar realtors who also happen to be very active mothers. Along with the organization The Motherhood, Apple Box Studios had front-row seats to the powerhouse discussion called Northwood For Moms. In a space that more resembles a friend’s living room- complete with a stone fireplace and comfy couches the bloggers arrive and break off into small clusters, chatting amongst themselves and the Northwood Realty staff. Each blogger was able to then get to know the mom agents through a “speed-chatting” round and a quick sharing of baseball cards designed by Apple Box. The bloggers were individually selected by The Motherhood (an organization that engages moms online on behalf of brands) to write about the evening’s events. 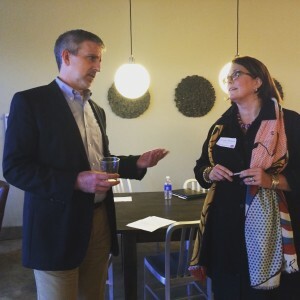 The end game of this meetup from a marketing perspective was to increase the recruiting efforts for Northwood’s Mom Campaign through new media outlets. By teaming up with the Motherhood’s mom bloggers, Apple Box was able to create a huge push on social media, add to the ongoing and integrated Mom’s Welcome campaign and support the latest video launch for Northwood, produced by Apple Box (see video below). After the event, the #Northwoodformoms hashtag generated more than 2.3 million impressions and made Twitter’s trending topics list for Pittsburgh. In addition to enhanced visibility the big picture PR of this effort paints Northwood Realty as an innovative, resourceful and compassionate company. All true, and all exemplified by CEO Tom Hosack who gave opening and closing remarks and was extremely well received by the attendees. The main themes of the night organically rose to the surface. How do you keep all the balls in the air? (You don’t.) Define balance/happiness for yourself. Superwoman is not a reality. All moms have passion, are they present in their child’s life in the way they want to be? Flexibility leads to productivity and does your boss have to have children to understand this? All the moms agreed that sometimes it feels like society pushes you to make a choice, be at home or be at work. Instead of trying to push through a glass ceiling, real estate provides a path that is wide open. Wendy Kelly one of the Northwood Moms likes to be “all in, or not at all.” Ditto for her counterpart Susie Holmes who says “I don’t think there’s such a thing as part-time” but goes on to say “I can’t be everything all the time. Susie gives herself permission to not be perfect, and that she does the best she can. Wendy echoes that sentiment with “Thank God for grandmothers!” Technology is great, but it’s family picking up your kid, not Uber. At the end of the day, work and motherhood are topics that can be discussed and debated, the merits of each outlined and dissected. The key to happiness I think, is finding what is right for you. In my own little circumstances I am the mother of two small and lovely children. I am in our office several days a week, but not every day. Sometimes I’ll call in from home to take part in a strategy session or pop in for an hour on an off day for a big client meeting. I get everything in the world out of being at home with my kids. I get job satisfaction and validation, an outlet for creativity and a paycheck at Apple Box that I identify with and value. Most days I feel like everyone wins. If you’re a mom and want to learn more about Northwood Realty and part-time opportunities, get more information by clicking here.